Carmen Dragon (July 28, 1914 – March 28, 1984) was an American conductor, composer, and arranger who in addition to live performances and recording, worked in radio, film, and television. He was educated in Antioch, California, and left following graduation from the old Riverview High School. He obtaned his MA degree from the San Jose College. 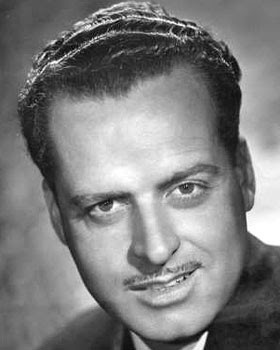 Carmen Dragon began his musical career as an arranger with Meredith Willson's orchestra. 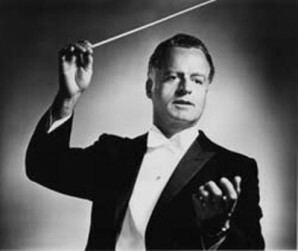 He was very active in pops music conducting and composed scores for several films, including At Gunpoint (1955), Invasion of the Body Snatchers (1956), Night into Tomorrow (1951), and Kiss Tomorrow Good-bye (1950). 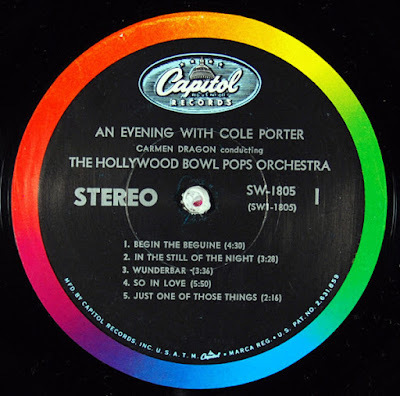 With Morris Stoloff, he shared the 1944 Oscar for the popular Gene Kelly/Rita Hayworth musical Cover Girl, which featured songs by Jerome Kern and Ira Gershwin. He made a popular orchestral arrangement of "America the Beautiful" and also re-arranged it for symphonic band. Carmen Dragon conducted the Hollywood Bowl Symphony Orchestra (which he conducted for ten years), and they performed on The Standard School Broadcast, broadcast on NBC in the western U.S. for elementary schools from 1928 through the 1970’s. The show was sponsored by the Standard Oil Company of California (now the Chevron Corporation), but other than the name there were no commercials. The program featured a high quality introduction to classical music for young people growing up in the 1940’s and early 1950’s. 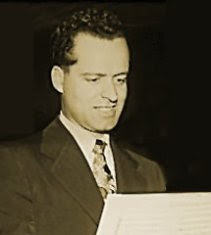 He also conducted the Capitol Symphony orchestras, and he composed, conducted and arranged for a number of American radio and television programs (including the Standard School Broadcast in 1949). 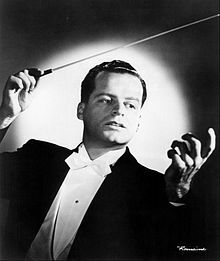 He also conducted the Royal Philharmonic Orchestrac, the BBC Symphony Orchestra, and several British television series, and he was a guest conductor for a number of American symphony orchestras. He joined ASCAP in 1950. Carmen Dragon made a series of popular light classical albums for Capitol Records during the 1950’s with the Hollywood Bowl Orchestra. Some of these recordings have been reissued by EMI on CD. Dragon appeared as himself briefly at the end of the 1979 film The In-Laws, conducting the fictitious Paramus Philharmonic. 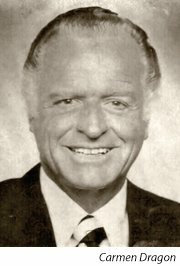 Carmen Dragon’s accomplishments include: Oscar winner (Cover Girl, 1944); Emmy winner (Christmas television special, 1964); Star on the Hollywood Walk of Fame (5,000 hours of radio broadcasts); Music Educator (Standard School Broadcast - a national music education program broadcast directly into elementary classrooms); Orchestrator Extraordinaire (Internationally acclaimed for his unique, lush style); Conductor/Music Director (20 years with the prestigious Glendale Symphony Orchestra and orchestras world- wide); Recording Artist (featured on over 39 recordings with the Hollywood Bowl Orchestra and Capitol Symphony); Film Composer (over 30 films including Cover Girl and the 1950's cult classic Invasion of the Body Snatchers). The Antioch Unified School District named one of its new elementary schools in his honor. Carmen Dragon Elementary School opened in September 2004. Of the legacies left behind by Carmen Dragon, the most accessible are the many wonderful orchestrations of pops and light classics available for rental through Carmen Dragon Music Library. Dragon's lush arrangements are appreciated by conductors and musicians for their rich musical content and diversity of style, and every audience enjoys his unique way of expressing emotion through music. His children: Son, Daryl Dragon of the 1970s pop music duo The Captain & Tennille; Daughter, Carmen E. Dragon (died July 11, 2010), classical worldwide harpist; Son, Dennis Dragon, drummer for the popular surf band Surf Punks; also produced much of The Captain & Tennille's music; Daughter, Kathryn Dragon Henn, Manager of Mr. Dragon's Orchestral Pops Rental Library. He was father-in-law of Toni Tennille. Carmen Dragon died of cancer, aged 69, in a Santa Monica, California hospital, on March 28, 1984. My father jus asked me to look for this record, sin he lost his LP. Unfortunately the link is down and this record is only available at itunes Germany. I hope you could upload it again. Hello Jaben, I have managed to find the LP, so if you still want it let me know. One ore two of those are from this album. My father was happy with this collection, but he still misses the Cole Porter album. If you could share it you would make my old man happy. Thank you very much, boppinbob!